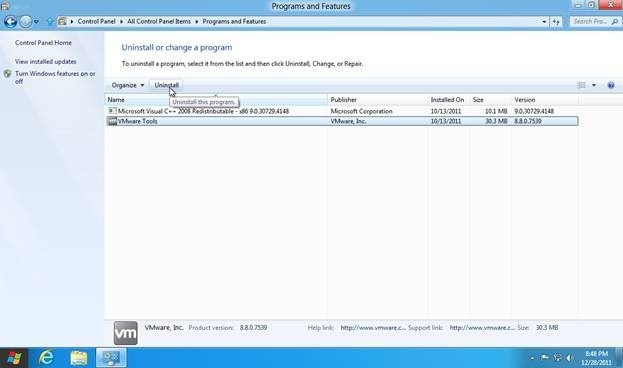 Here is how to uninstall a program from Windows 8 start screen. You are not required to go to the control panel to uninstall a program. You can do it right from the Metro UI screen. Let’s say you want to uninstall the “Tile Puzzle” game from your computer. 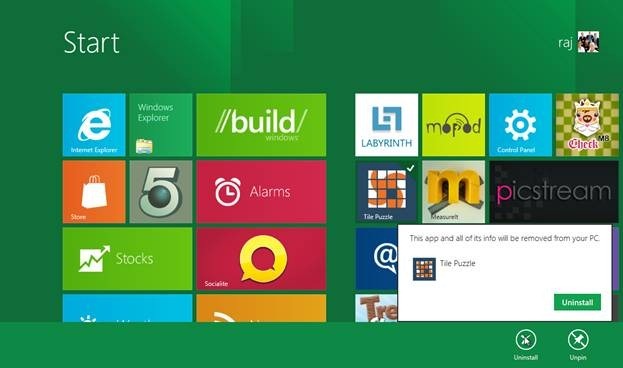 You can view the tile correspondent to “Tile Puzzle” app on your Windows 8 start screen. You can just go ahead and right-click on the tile. After it is right clicked, a tick mark appears at its top right corner and simultaneously a rectangular bar pops up at the bottom of the screen. The bar consists of two or three icons on it depending on the tile which is selected. 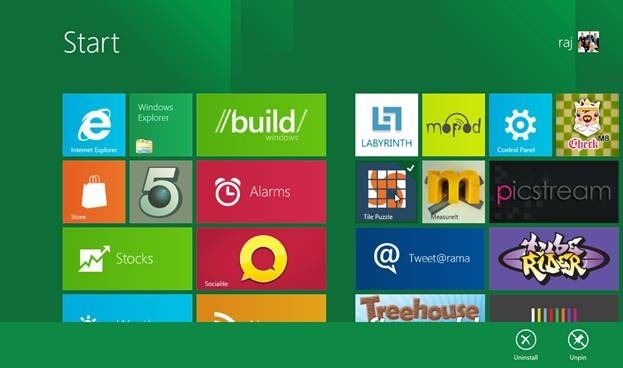 Also check out recent post on “Increased Security in Windows 8″. Click on the icon which is labeled “Uninstall”. A confirmation dialog will pop up stating that the selected app and all of its info would be removed from the computer. Click on the “Uninstall” button and the selected app would be completely removed from the system. Besides this shortcut of uninstalling programs directly from the start screen, you can also uninstall programs in the traditional way, i.e. you can open “control panel”, select “more settings”, select “program and features” and finally select the program which you want to remove and click the uninstall button.